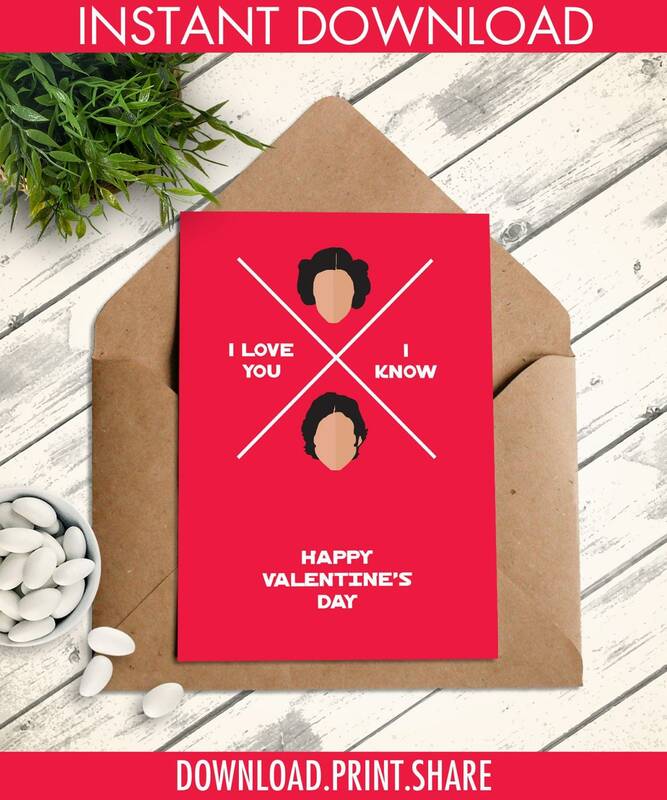 (¸.·´Star Wars inspired "I love you - I know" Valentine's Day Card. Listing includes: 1 high resolution 5"x7" folded greeting card template, formatted on an 8.5” x 11” PDF ★ 1 High Resolution (300 DPI) 5"x7" JPG. ★ PDF with information for paper & materials suggestions ★The finished folded card will measure 5"x7", which fits an A7 envelope. ★ NO physical item will be shipped! 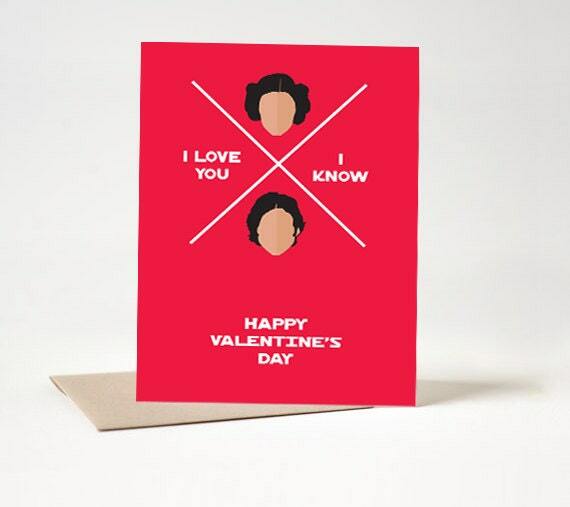 This is an INSTANT DOWNLOAD greeting card PDF formatted to print on 8.5"x11" card stock. 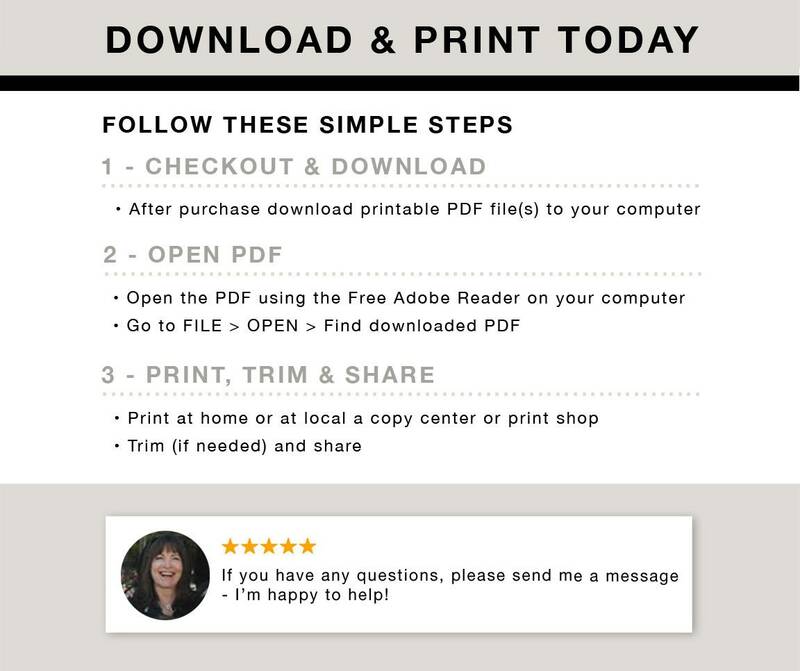 Get crafty in a jiffy with this easy to print, cut and fold card at home, at a local print shop, or through an online printer. You may print as many times as you'd like. → You MAY print at at photo lab using the JPG file. Absolutely love this product and so did my fiance!